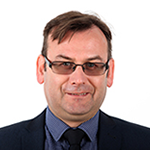 Adam founded the company in 1987 and has gone on to build a strong and dedicated team of highly experienced industry professionals, committed to delivering the highest levels of service and support. His personal approach, passion, and integrity are reflected throughout the company, fostering a culture that is both positive and proactive. His meticulous attention to detail, keen work ethic and commitment to only the very best products and services have become guiding principles of the organisation. Today, Adam leads the Board of Directors in driving future expansion and determining long-term strategic objectives for the business. Our clients look to us to deliver an evolving portfolio of carefully selected connectivity solutions and services that are innovative, resilient, and designed to meet the precise requirements of their business. Only when concepts are fully proven – demonstrating resilience and true commercial value, either operationally or in terms of reduced costs – will we endorse a new solution. Integral in his role as CTO, Edward is chief architect of the Company billing, reporting and administrative platforms. Edward works consistently with network providers, technology partners and customers to ensure the Company continues to deliver long-term value to clients through the creation and refinement of innovative in-house technical products and services. The Company’s commitment to sustained, significant technical investment has enabled Edward to build an enterprise-level infrastructure and very talented technical team, highly proficient in creating secure, scalable client-facing solutions offering both cost and process efficiencies. 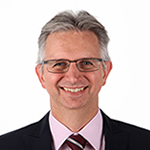 Since joining the Company in 1996, Edward has formalised and scaled the technical architecture, software development practices, security safeguards, processes and policies of the Company from both a technical and operational perspective. Our long-term policy of IT investment and expansion has meant that we regularly design and build a range of bespoke technical solutions of the scope only expected from larger organisations, but with superior levels of care, flexibility and personal commitment. 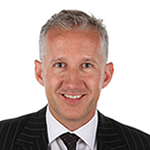 With his exacting attention to detail, James is instrumental in strategic negotiations with key clients and partners. During his tenure he has built a finance team of extremely bright, skilled and responsive professionals who work collaboratively to meet the needs of the business. 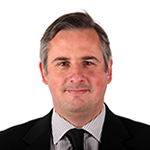 James has also been responsible for leading major programmes, including the purchase of additional London office space in 2014 to facilitate further expansion. 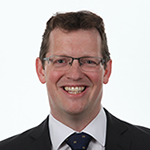 After qualifying as a Chartered Accountant with PricewaterhouseCoopers in 1991 James gained valuable experience within a number of large organisations. He worked for P&O Ferries for 11 years at a senior management level, with responsibility for management reporting and analysis, change process management, financial accounting, and transaction processing. I enjoy working with a team of professionals who are all expert in their individual disciplines, and in a business environment that is constantly changing. Our industry demands agility and we have to be ready to invest in new technologies and react quickly to client demands. As Commercial Director, Lee is integral to our overall strategy of delivering resilient mobile and fixed line solutions to companies operating in some of the most demanding and business critical sectors. Lee works collaboratively with clients and Tier 1 partners to specify and build multi-carrier tailored solutions, successfully deploying leading technologies to meet their current and future needs. 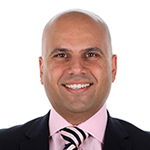 His key areas of expertise include business continuity, hosted solutions and compliance, as well as advanced call routing and contact centre technologies. With an uncompromising attitude to customer service and an open, honest communication style, Lee’s impressive depth of knowledge gained over 20 years within telecoms has earned him the trust of his clients to deliver robust solutions that help them succeed. In-depth industry knowledge, experienced and dedicated staff and a high attention to detail continues to give us the edge in winning and retaining business in some very demanding sectors. Our hard work has earned us healthy respect from partners and clients alike. As Head of Mobile, Alex oversees the company’s mobile telephony portfolio, including close collaboration with IT integrators and other strategic partners. His capabilities and insights have proved invaluable to clients who are reliant on secure and compliant solutions, including Mobile Device Management and Mobile Voice Recording. With his straightforward approach and diligent attitude to service, Alex develops long-term relationships with clients in some very demanding sectors, specifically City & Financial. Prior to joining Adam Phones in 2007, Alex held business development roles distributing Microsoft’s retail management software solutions across EMEA. Mobile is extremely complicated to manage, especially if you work internationally or have regulatory requirements such as call recording to adhere to. We take that pain away from clients by designing and maintaining bespoke solutions that meet their commercial and technical goals. Oday oversees the mobile communications requirements of high-net-worth individuals for Adam Phones. Maintaining a one to one relationship with all of his clients, he upholds absolute discretion and integrity by personally fulfilling all aspects of their service with impeccable attention to detail. In addition, Oday manages the ‘Platinum Numbers’ division of the company, enabling him to offer clients an extensive collection of unique mobile phone numbers and source limited edition and bespoke mobile devices. Oday’s approach has established him as a highly trustworthy individual and an invaluable resource for his clients, many of whom have remained loyal to him throughout his tenure at Adam Phones. Trust and discretion are paramount to my clients. In most cases their communications are of a highly sensitive and demanding nature. It’s quite normal for my clients to contact me directly, day or night, to personally handle any requirements they may have. As Marketing Director, Simon is responsible for the company’s brand and go-to-market strategies, working alongside the CEO and Board to support sales and business growth. A PRINCE2 Practitioner with 16 years in the industry, Simon has executed core products for Adam Phones, and led the implementation of our highly successful Fixed Line services division. Prior to joining Adam Phones in 2004, Simon spent three years contracted to Europe’s largest wireless carrier, serving roles in both technical training and research. Every solution we propose has to stand up to the closest scrutiny. From the commercials to the contractual arrangements to the support that will underpin the solution, we strive to exceed expectations and set new benchmarks. An accomplished and respected specialist in enterprise mobility, Juliette works closely with our technology partners and affiliates, aligning solutions with tariff and support structures, and deploying them in scale. 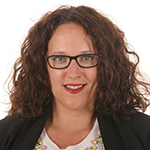 Rather than simply selling in solutions, Juliette works with her clients at a strategic level across procurement, IT, facilities, accounts payable and Board, ensuring our solutions are delivering value and streamlining processes in every facet of their business. Juliette has extensive experience and a wealth of success stories implementing advanced telephony solutions, including COPE (Corporate Owned Personally Enabled) and COBO (Corporate Owned Business Only). Prior to joining Adam Phones in 2014, Juliette spent 14 years working for a national communications provider. Having the right portfolio of products and services and a competitive commercial offering are vital. But more than that, I have to understand my client’s businesses to enable us to identify every area where we can deliver real long term value. As Head of Service Delivery, Rizwan maintains overall responsibility for the delivery of resilient, fixed line connectivity solutions to clients and strategic partners. He also works closely with our network carriers, ensuring the design and implementation of products runs smoothly across our sales, provisioning and technical services divisions. Rizwan’s tenacious approach to delivering solutions to client specification has earned him a healthy reputation for implementing fixed line connectivity to insurance providers, hedge funds private equity firms. 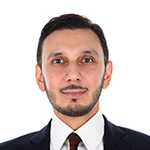 Joining Adam Phones in 2010 Rizwan first worked as a specialist within our Account Management division, and previously spent a number of years working in the finance sector. Managing multiple products across multiple carriers with a host of differing processes, procedures and lead times is a huge resource headache and extremely complex to manage. We take that burden away from clients, and our carrier relationships often mean we can expedite the delivery of solutions. As Head of Key Accounts, James plays a central role in coordinating the day-to-day management of all client requirements, ensuring that service levels are exceeded and client requests actioned with the relevant teams. By working closely with our internal Provisioning, Logistics and Finance teams, James and his Account Managers are able to act as an extension of the client, ensuring any bespoke requirements are always met and that our processes continually evolve for the benefit of the client. James joined Adam Phones in 1997 and has built out a team of dedicated and highly skilled account managers. I am proud to lead the development of what is such an outstanding team. Our people are knowledgeable, able, intelligent and above all committed to providing outstanding levels of service. We view ourselves as an extension of the client’s’ own internal team. 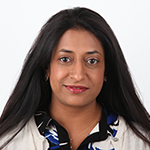 Priya is directly responsible for managing a portfolio of high profile accounts with specialised requirements around management and bespoke reporting. She collaborates closely with her clients, including regular face-to-face meetings, advising on evolving technologies and tariffs. Priya remains aligned with any client led changes their growth and internal roadmaps that may impact connectivity usage, ensuring that we are always offering the best possible value. Before joining Adam Phones in 2006, Priya was Product Manager for a global engineering firm, working in partnership with clients to develop, test and launch new products. Trust is fundamental to all our client relationships. Our clients work in demanding markets, requiring consistently high service levels. They trust us to provide accurate guidance, deliver robust solutions and administer high levels of support. Andrew is responsible for delivering and maintaining the core technical infrastructure of Adam Phones. With his team, he ensures that all critical systems are continuously developed, monitored and optimised to safeguard continuity of service for the benefit of the business and its clients. Andrew also leads the technical support team, who engage with clients directly on the full range of products supplied by Adam Phones. Prior to joining Adam Phones in 2009 Andrew worked in various IT roles within the Charity and Hospitality industries, enabling him to blend expert technical knowledge with a high-level focus on customer support. We very much practice what we preach – implementing secure, resilient solutions that deliver operational and commercial value, and backed up by a team of dedicated and qualified technicians. With 15 years in telecommunications, Gareth holds overall responsibility for managing the delivery of services with our carrier partners. From the moment the client places an order, Gareth’s team rigorously manage all aspects of demand placed on the carrier delivery teams, interaction with relevant third parties and liaison with internal departments. This includes complex Wayleave and building management requirements for any site access or construction work that needs to be undertaken. Prior to joining Adam Phones from Virgin Media in 2012, Gareth spent time at BT Openreach and BT Wholesale, working closely with external site contractors and supply chains to ensure deadlines for connectivity exceeded client expectations. When we deliver any project, it has to be right and it has to be on time at the very least. It’s a point of pride for us that we exceed our client’s expectations. As Head of Logistics, Sam diligently manages a team of Hardware Specialists who procure mobile devices from our suppliers, and Fleet Assistants that manage repairs and the swift dispatching of warranty replacements. Sam works closely with the Account Management team to ensure that SLA’s are met or exceeded, including our commitment to deliver equipment within 2 hours for London based clients. He also oversees the relationships with our wholesale handset suppliers and equipment manufacturers, and the courier and logistics companies we contract with to ensure orders are always delivered on time. Prior to joining the company in 2001, Sam managed the logistical operations for an import / export business, and also worked as an aeronautical engineer with British Airways for 14 years. Our operation has to run efficiently and accurately. We understand how critical it is for our clients to be able to communicate, and it’s therefore vital that requests are processed promptly, with the client being updated at all times. Padraic leads the billing team and is responsible for the generation and distribution of client invoices. This includes rigorous testing, trend analysis and meticulous scrutiny to ensure any anomalies from the carrier networks are removed and investigated before the client is presented with their invoice. 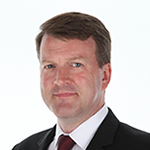 Prior to joining Adam Phones in 1996, Padraic worked in various client facing roles within the financial services industry, including lead cashier of Chelsea Building Society, where he was responsible for key functions ranging from mortgage arrears handling to cash management duties. Our client’s demand accuracy and competence from the billing team – our work has to be right first time. By comprehensively and proactively auditing our client’s bills before they receive them, we help them save time and expedite their purchase ledger process. Ranjit has responsibility for the daily management of the accounts team, thereby ensuring the efficient operation of all financial activities. 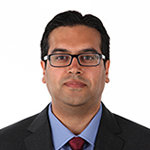 Overseeing the company’s financial systems and supporting the business with production of timely, incisive data, Ranjit ensures the objectives of his team and wider business are consistently met. 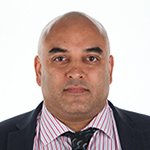 In 2008 Ranjit became a member of the Association of Chartered Certified Accountants, being the first to train and qualify as an accountant during his employment at Adam Phones. 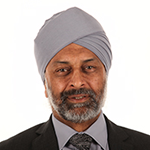 Ranjit now supervises and mentors all new trainee accountants who join the business. We manage our working capital carefully, allowing us to remain highly stable and financially agile. As Senior Analyst, Hannah works closely with the leadership team and directors on wholesale commercial arrangements with our mobile and fixed line carriers, enabling the company to continue developing new, competitive tariffs that benefit our clients. She has also been instrumental in key wholesale contract negotiations, most recently including the integration of EE as our latest network partner. Reporting to the CTO, Hannah is heavily involved overseeing the specification of databases that support our bespoke in-house billing platform, which in turn drive our portfolio of advanced monitoring and reporting solutions. 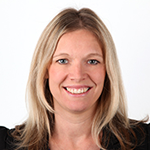 Hannah joined Adam Phones in 2003 after working within the account management division of major chip-maker Intel. Our independence, our analytical approach, and the expertise of our team, ensure the solutions and the commercials that underpin them are transparent, tailored and offer long term value to clients. Working closely with all stakeholders throughout the term of an engagement, Jasper and his team of analysts ensure all commercial aspects of recommended proposals stand up to the closest scrutiny and on-going measurement. Jasper is involved in the key stages of assessing a client’s current costs and proposing bespoke tariffs that provide versatility far beyond typical industry offerings. 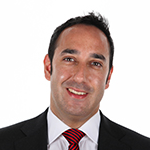 Jasper joined the business in 2008 after six years developing his analytical skills in the finance sector. Our reports give decision-makers all the facts they need to make an informed choice. Our financial modelling clearly demonstrates to the client how we weigh up against the competition, and we expect the performance of our tariffs to be measured against this initial analysis.